or please search in the Amazon store of your country. 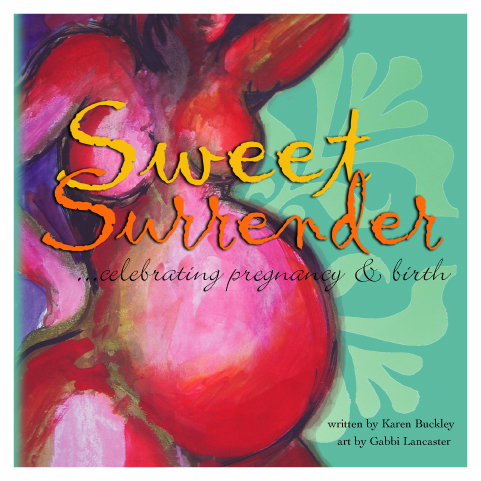 A book of soothing affirmations and art, inspiring women to enjoy a positive pregnancy and birth. Each page is beautifully illustrated with original life drawings and paintings expressing the power and beauty of women throughout pregnancy. Karen has been a Midwife for twenty-six years. In that time she has been caring for and listening to women. " I hear the same concerns over and over again. I spend a lot of time reassuring women, reminding them of how AMAZING their bodies are, especially at this time in their life. I am passionate about empowering women in pregnancy, birth and mothering." Gabbi has been drawing, painting and photographing women during pregnancy for many years from her home in Sydney. "It is such a special and intensely emotional time in a woman's life and I love being able to share those moments with the women I draw. I have three children and had very positive birth experiences. Since then I have been looking for ways to spread a positive message about birth." A perfect and uplifting gift for any mother to be.